Product prices and availability are accurate as of 2019-04-22 01:45:24 UTC and are subject to change. Any price and availability information displayed on http://www.amazon.com/ at the time of purchase will apply to the purchase of this product. 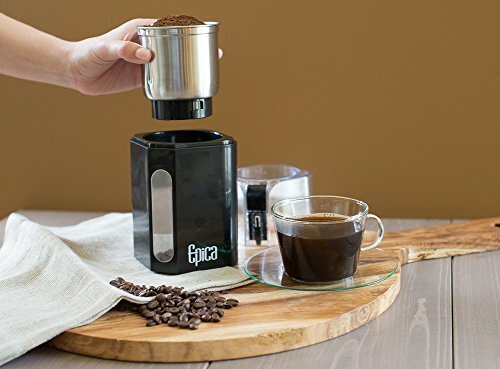 Whether you’re trying out a new roast or creating your ritualistic morning blend, the Epica Coffee & Spice Grinder’s powerful motor unlocks the potential hidden within your ingredients, enriching your life with fresh, authentic tastes. 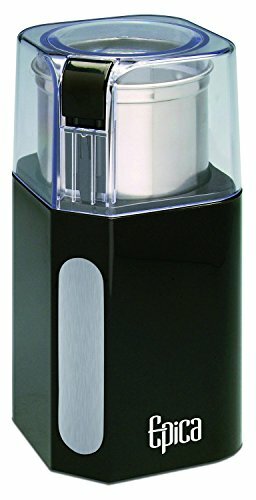 GET THE MOST POWERFUL GRINDER ON AMAZON: Don't let wimpy mixers leave you with half-cut beans or spices that trap the flavour inside. This industrial-strength 250 watt grinder combines ease-of-use and the strongest motor in the market to uniformly grind beans and spices quick, so you can enjoy their full warmth and allure. SIMPLE GRINDING WITHOUT THE MESS: Skip fixed-cup grinders. They're hard to pour and even harder to sanitize, leaving your counter in disarray. With Epica, there's no clean-up! Its stainless steel cup removes from the base quickly. Result? Effortless pouring and cleaning every time. STABLE, STRONG AND SILENT: It's 2016-you deserve more than a loud, unstable grinder. 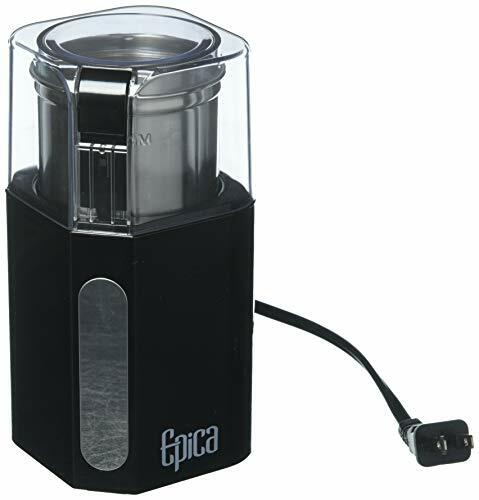 The Epica delivers more power than any other grinder, while being quiet enough to let the kids sleep. 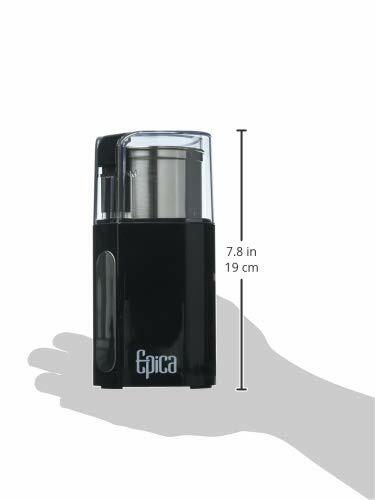 The Epica's sleek, compact home design stays still during use and dampens its whirring to a pleasant, peaceful pitch. SAY "YUM" QUICKER: You want flax seed for your morning smoothie. Coffee beans for your morning coffee. Nuts for your own granola bars. The Epica comes through! Now you can get back to enjoying your indulgence quicker. It gives you a consistent, quick grind every time with powerful steel cup and blades that make short work of any grind job in a matter of seconds OUR 100% 2 YEAR "WAKE-UP" GUARANTEE: From its effortless pouring to its best-in-the-market grind, we are confident you'll absolutely love your new kitchen addition. If something rubs you the wrong way, though, we'll gladly replace or refund your purchase to keep your smile on. Guaranteed.